Even a mounted soldier could benefit from a shield, although riding a horse did limit the style of shield available. This Praetorian Cavalry Wooden Shield provides protection through its size, while its shape makes it effective for use on horseback. This impressive shield is a slight alteration from the typical Roman shield, featuring an elongated, hexagonal shape that features six distinctive sides, as opposed to the traditional square or oval shapes. The shield is flat on top and bottom, while the sides extend out to provide additional protection. The front of the shield features a brass boss for deflecting blows of the center of the shield. 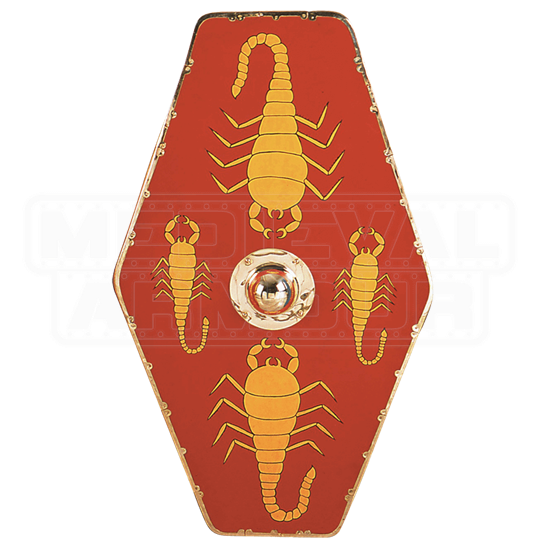 The shields face features the classic red and yellow-gold coloration that is often-times associated with Roman legionaries, depicting four yellow-gold scorpions, all centered around the boss on a red background. This shield features a linen covering to enhance its detailing and its strength, and has been hand painted to ensure its impressive design. The shield measures approximately 47 inches tall and approximately 27 inches wide. 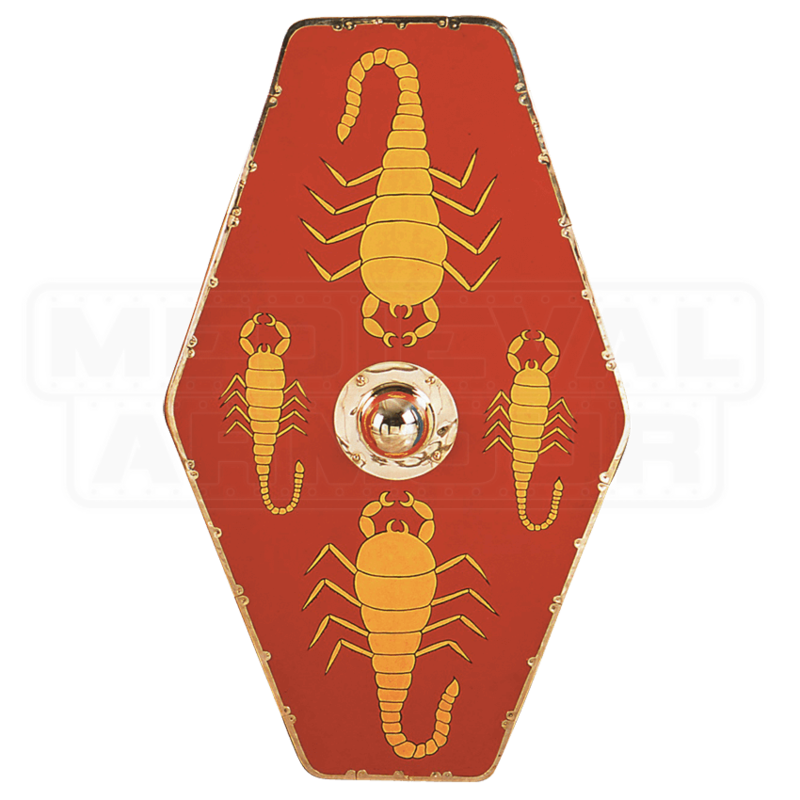 Of course, you do not have to wield this Praetorian Cavalry Wooden Shield on horse-back to do this shield justice, so long as it remains in the hands of a true Roman centurion, praetorian, or legionary. Another fantastic use for this impressive shield is to display it as a part of your collection and decor, so that all might know its fearsome splendor.